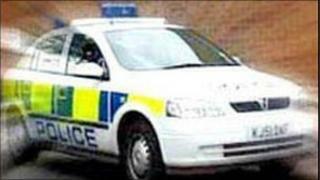 A shot has been fired during a robbery at a house in south Armagh. It happened at a house in the Annvale Road area of Keady shortly before 2030 GMT on Sunday. Five or six men - one armed with a handgun, the others with iron bars - threatened the occupants, a 66-year-old man and two women aged 62 and 22. A shot was fired in the air before they fled with cash. The shot went through the ceiling and a bed in an upstairs room, before lodging in the roof. Police have appealed for information, especially about the movements of a red jeep.